Two teams posess at the same time. 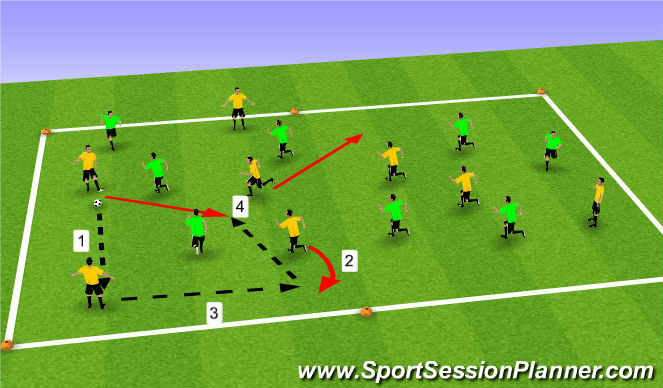 When using the players on the outside the outside player must use their first touch to enter the grid. 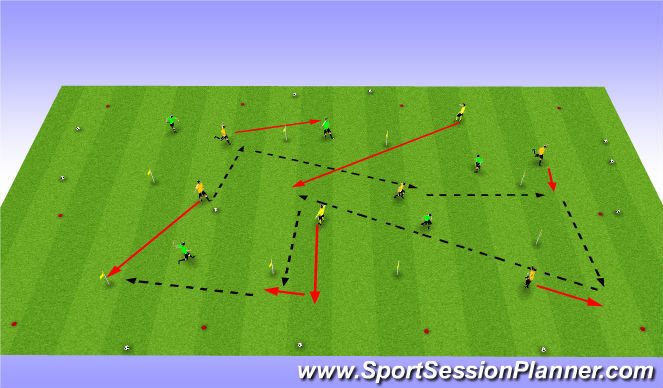 Once the outside player comes inside, an inside player must interchange with them and take their place on the outside. 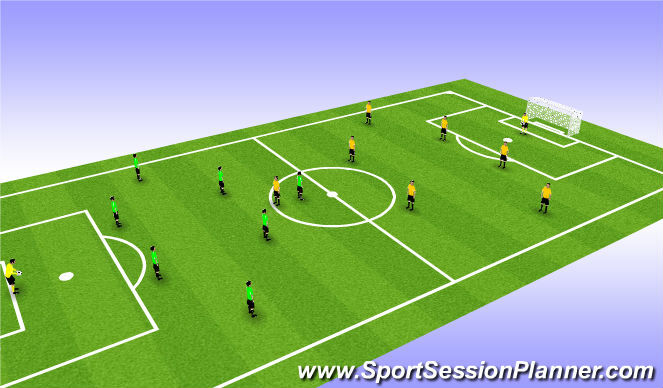 Various challenges can be given to the players insofar as touch restrictions, speed of play, combinations, skill, turns, vision, etc. 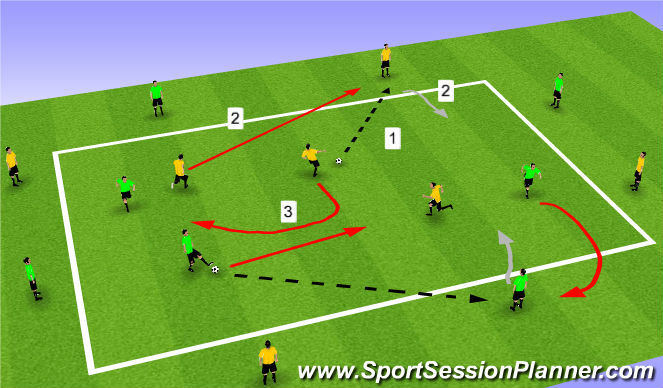 Instructions: Possesion with a purpose, most inportant thing is to keep the ball with the intent to combine passes through 2 gates for a goal (1 point), if complete only one gate and the other team gets possesion, gate count starts over on your next possession.